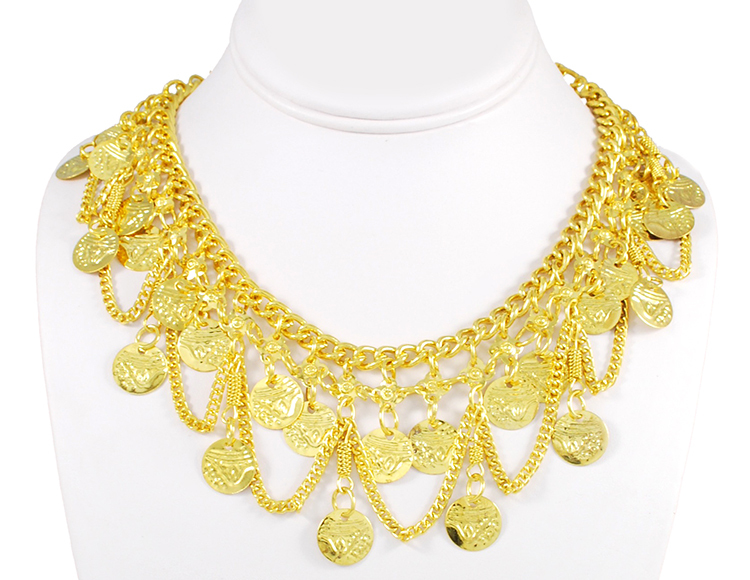 A beautiful metal coin necklace in classic bellydance design. A beautiful metal coin necklace in classic bellydance design. Great for cabaret, tribaret or tribal belly dance costuming. Made in India. Approx. 17 inches long, with a 4.5 inch extender chain.